BalletBoyz is a cutting edge and critically acclaimed contemporary dance company based in London, renowned for its exciting and innovative blend of original film work and live performance. © BalletBoyz. Photograph by Panayiotis Sinnos. Born in London, Harry began training at Italia Conti Theatre Arts. He then joined Elmhurst Ballet School and finally joined the English National Ballet School, graduating in 2013. In his final year, Harry was involved in several national tours with English National Ballet and ENBII. Upon graduating he joined Baltic Dance Theatre. Whilst with the company he performed in works by Jiri Kylian, Patrick Delcroix and Izadora Weiss. Harry performed in Matthew Bourne’s Swan Lake, touring in Asia, Australia and Europe. 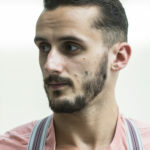 He joined BalletBoyz in February 2015, making this his fifth season with the company. Since being with the company, he has toured extensively both nationally and internationally and been involved in a variety of film and TV projects. Originally from Rotherham, where he started dancing at the age of 16, Bradley trained at the NECB School in Nottingham, then Rambert School for Ballet and Contemporary Dance. 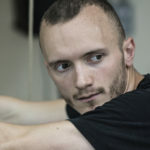 In his third year he was invited to become an apprentice with BalletBoyz and quickly became a full-time member of the company three months later. Bradley is also one of the directors of the BalletBoyz Dancer’s Course. This is Bradley’s fifth season with the company.